Once you have bought a diamond ring, caring for it is the next step. A gemstone and ring will only retain is sparkle and brilliance if it is well cared for and maintained. How To Keep Your Diamond Rings Clean? To keep your diamond rings clean from everyday dirt, you can either use specialised polish or warm water and detergent-free soap. Wedding and engagement rings made from gold, palladium or tungsten should be cleaned only using warm water and a soft bristle brush. Prone to discolouration, these metals should not come into contact with cleaning solutions. 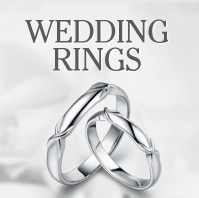 Sterling silver diamond rings can be cleaned using specialised cleaning liquids and cloths, removing tarnish build up. Diamond rings can be submersed into cleaning solutions where the band material allows. However, other stones such as emerald and ruby should only be cleaned using warm water. To prevent unnecessary damage to your diamond ring, it is advisable to remove your ring when active. 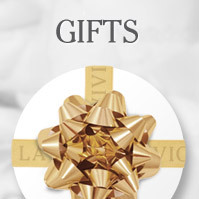 This will help preserve your wedding or engagement rings beauty, ensuring it lasts for years to come. 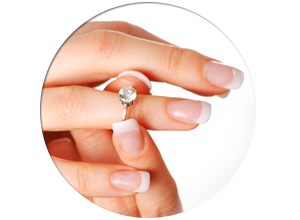 For diamonds rings with prong settings, it is recommended that your get your ring checked twice a year by your jeweller. If any of the prongs are damaged, they will be able to pin-point the problem and repair it where required. 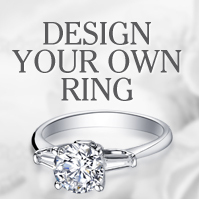 If your diamond ring has a loose setting, you are in danger of losing the diamond altogether. With regular maintenance, you can prevent this from happening and benefit from having your diamond ring professionally cleaned.